Cherry Tomatoes, Onions, Potatoes, Parsley, Chard, Heirloom Tomatoes, Shallots, Slicing Tomatoes, Summer Squash, Peppers, Watermelon. 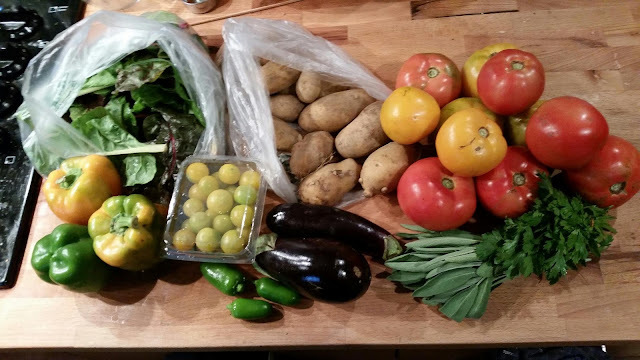 Then last Tuesday, we went and picked up our Week 12 box. If you want to see what we're going with our box, you should follow me on Instagram. I made a black rice with bloody mary tomato salad from Anna Jones' book A Modern Way to Cook. 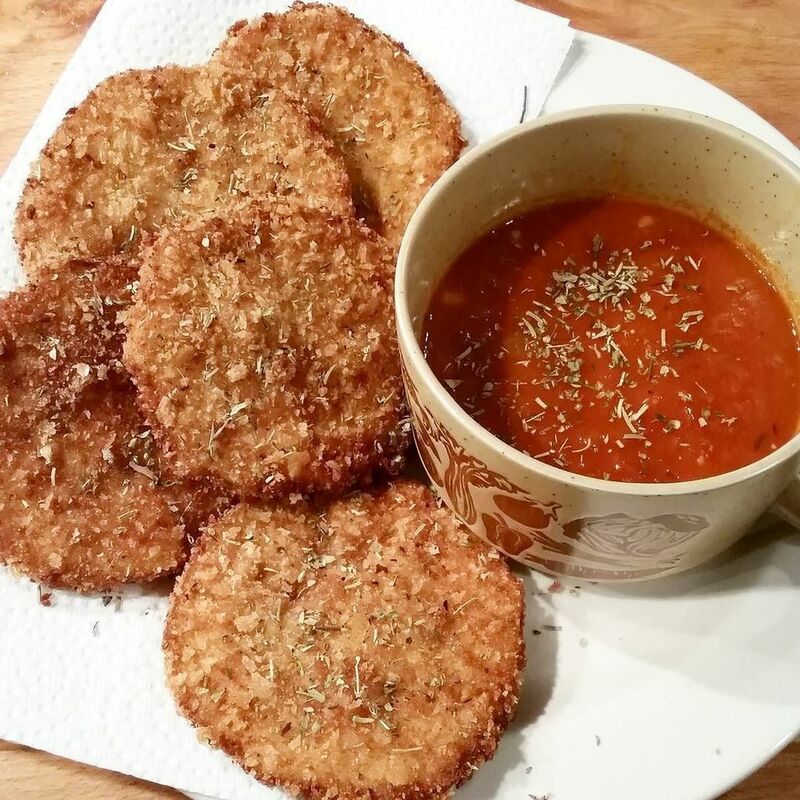 I also fried up a bunch of eggplant slices using panko and VeganEgg by Follow Your Heart . I served it with a simple tomato, garlic, onion sauce for a quick weeknight dinner. 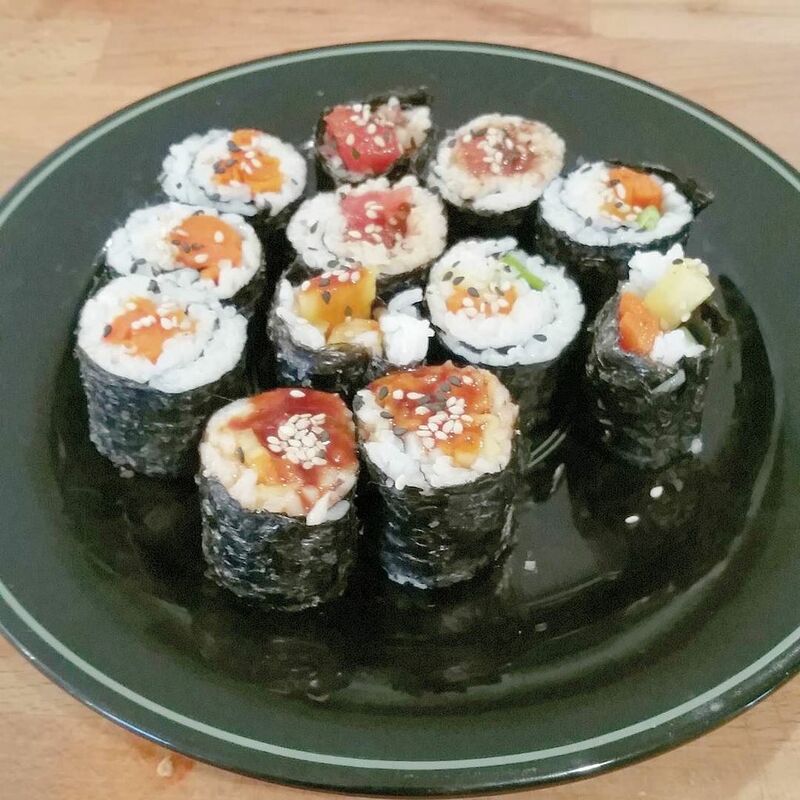 We even did some veggie sushi with tomato "tuna," mirin and rice vinegar pickled peppers, and carrot lox. Nothing tasted really fishy, but everything was really good. Sorry again for posting everything late. In addition to the vacation, I was remodeling the bathroom. I'll post links to that later. I'll try to get Week 13 out on Wednesday.